Reynolds is ready to bounce back on the Gold Coast. DAVE Reynolds will slash his off-track commitments after a staggering 37 hours of promotional work in just three days has been blamed for his spectacular Mount Panorama failure. 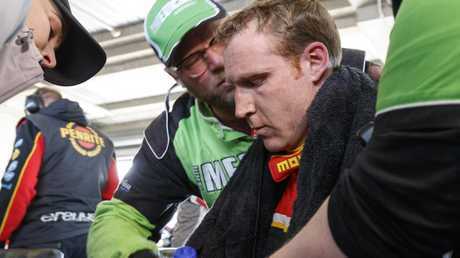 In his only interview ahead of this week's Gold Coast 600, Reynolds revealed a "neurological failure'' traced back to lack of sleep sent his body into meltdown in the closing stages of the Bathurst 1000. Reynolds was charging towards another Mount Panorama win early this month when severe cramping ruined his bid for back-to-back Bathurst crowns. "It has been a pretty dark time and it won't happen again,'' Reynolds said. "It can't happen again. I blame myself for what happened. We have looked at what went wrong and I just over did it with media and sponsorship commitments in the lead-up. Dave Reynolds took too much on before the race. "The demand was out of control. I overcommited to off-track activities and I ended up doing 37 hours of work from the Monday to the Wednesday before we even hit the track. Reynolds revealed he was exhausted before the race even began with his incredible pre-race commitments sending his body into meltdown. "I was only getting four hours of sleep a night,'' Reynolds said. "That caused poor sleep, poor recovery and eventually led to my demise in the race. Everyone has an end point. "The signs were there even in the practice session on race morning. I only drove a couple of laps and I was exhausted. 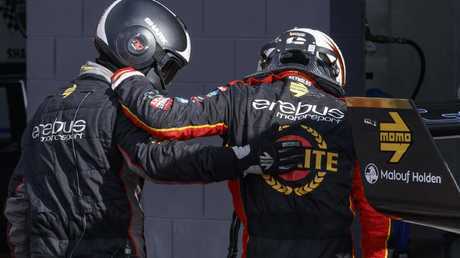 The Erebus Motorsport driver pushed himself too hard. Reynolds denied he was "mentally weak'' and vowed to bounce back from his failure by winning this week's Gold Coast 600. 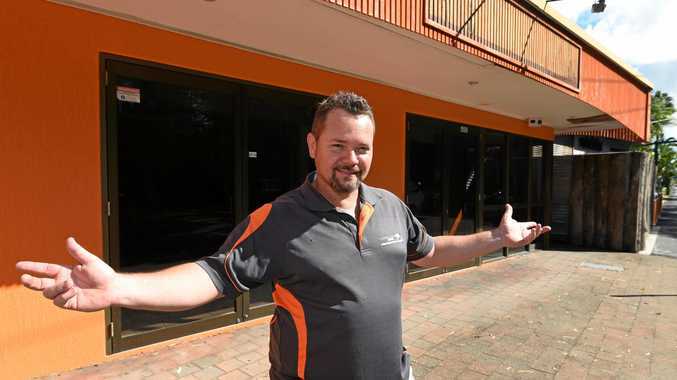 The Holden hero also revealed he has been seeing a sports psychologist. "I have no concerns about my mental state,'' Reynolds said. "It was a mental issue that caused the fail but that was because of the overload. I have worked with a sports psych for a while and he even suggested I was down on energy before I even left for Bathurst. "He saw the warning signs the week before. There are a lot of reasons why we lost that race but the biggest was the overload." It is a warning for drivers who push on so many fronts. Reynolds will ease up on his pre-race commitments this week in a bid to conquer the Gold Coast and erase any concerns about his mental state. "We have a plan to mitigate all those mentally zapping commitments,'' Reynolds said. 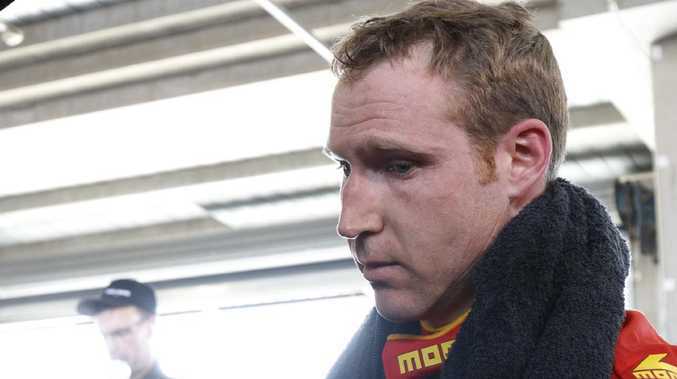 Reynolds said his physical condition did not contribute to his Bathurst demise. "I have not changed my training regimen at all,'' Reynolds said. Reynolds has been on been seeking both medical and psychological advice since his Bathurst heartbreak. "I have not been allowed to drink coffee or tea,'' Reynolds said. "I have had to stay of certain foods. I have had to calm my system down and I think I am there. I am now focused and ready to win on the Gold Coast. It is not the same as winning a Bathurst but it will certainly help." Get Supercars LIVE with no ad-breaks during racing. SIGN UP TODAY!